It's now normal in India to have bomb blasts here and there in different parts of the country,latest being held on 21st February 2013 in Hyderabad. 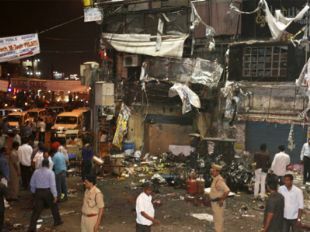 Twin blasts in Dilsukhnagar in Hyderabad happened in spite of the inputs send by intelligence agency two days before and killed around 16 people and injured hundreds. The issue of intelligence failure is disrupting Parliament now and may be for the days to come but what other side of the issue I am concerned about is the condition of our government hospitals in which injured usually taken. deccanchronicle image of Osmania Hospital which itself needs treatment. Our government hospitals are themselves in a very delicate condition and are not suitable for such crises,except few they all need an operation to cure their own disabilities. These hospitals always remain occupied by patients waiting to be treated,patients there are everywhere in corridors,at entrance on beds than how they cater for such victims bombarded to them, I wonder in these blast cases those who died due to lack of medical facilities may be more than those died in blasts. 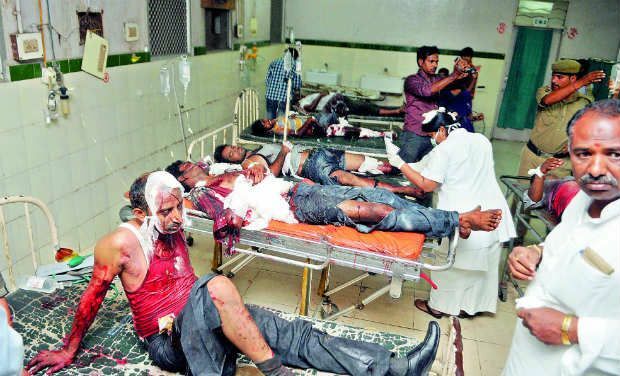 After each blasts different terrorist organisations were charged with the blast charges but the government agencies responsible for conditions of our hospitals are bigger terrorists than those who plant bombs but no one is there to take responsibility and no one even blame anybody for this. Our politicians should also look in to that matter and try to improve conditions of the hospitals in their constituencies so that no body dies due to lack of medical infrastructure and facilities. Our medical infrastructure is in a dire need of overhaul.